Notably, it is official Indian policy to keep nuclear warheads de-mated from actual missiles. One possibility is that the INS Arihant carried nuclear-armed SLBMs, most likely K-15 (B-05) short-range SLBMs last test fired in August 2018. It is unclear how the nuclear release chain of command will function for the Indian Navy’s burgeoning boomer force. Regular deterrent patrols are only likely to begin with the deployment of other boats of the class. The second Arihant-class SSBN, the future INS Arighat, was launched in November 2017. The boat is expected to be commissioned in 2020 or 2021. 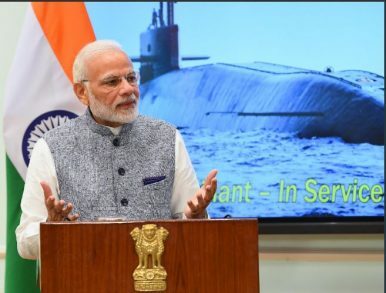 The sub will have eight missile tubes, twice the number installed on the Arihant. It will also have a more powerful reactor and a slightly bigger overall displacement. It it also assumed to be quieter than the first-of-class boomer. The Indian Navy finds out how difficult the business of operating a sea-based nuclear deterrent can be.